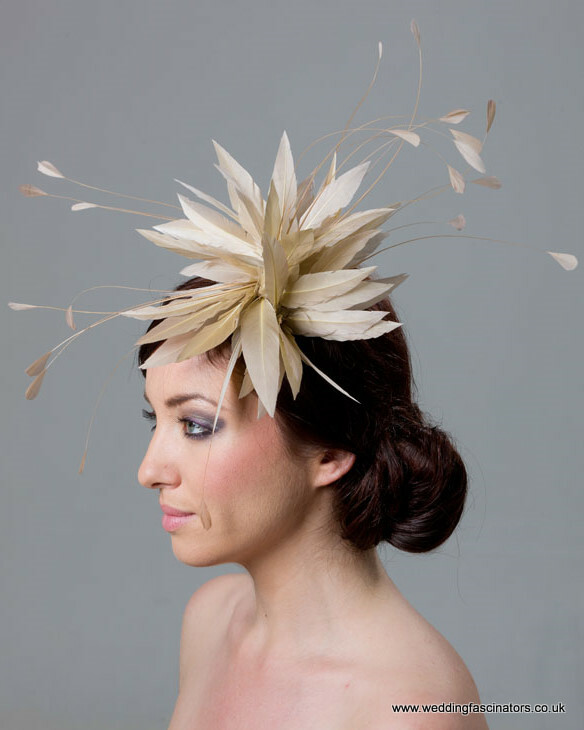 This delicate and very beautiful ivory wedding fascinator has a base of goose feathers with a wonderful display of tiny stripped coque feathers dancing daintily. 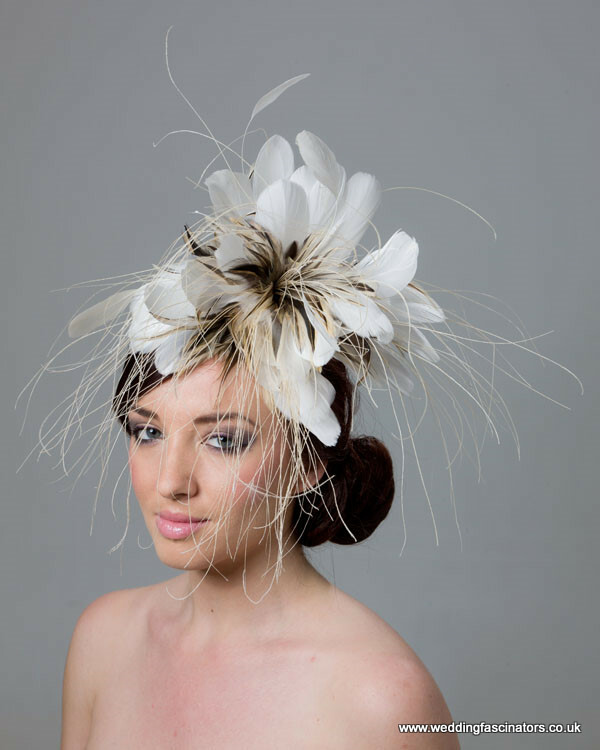 This delicate and very beautiful ivory wedding fascinator has a base of goose feathers with a wonderful display of tiny stripped coque feathers dancing daintily. It is on a see-through comb and can be worn on either side of the head. 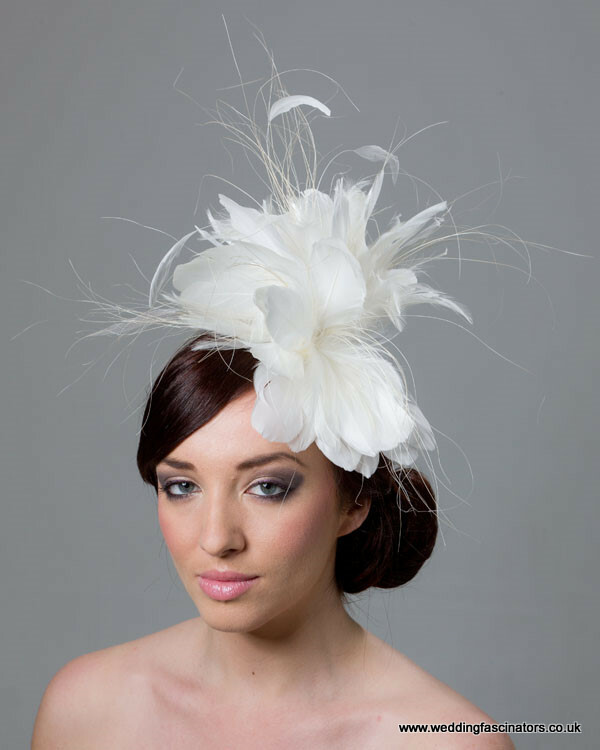 This feather facsinator would also be suitable for a bride or her bridesmaids.